A debate is going back and forth in Siem Reap at the moment relating to visitors who want to do something to help Cambodia, but only have a very small amount of time in which to do it, from half a day up to one week. Seeing so much poverty, and so many of the children who suffer, inspires many visitors to express a desire to spend time working with children in one of the many shelters that are dotted about the countryside around this town, teaching English or otherwise helping out. Perhaps after reading this, you will be able to give your input on how to accommodate these good intentions, to the benefit of everyone involved. 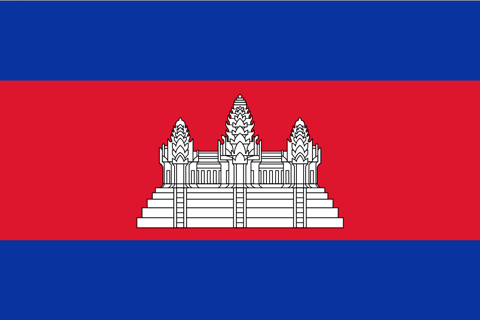 Everyone has the greatest respect for anyone expressing a desire to help in Cambodia. As Cambodians work hard to rebuild their country, many people are working alongside them to help them achieve their goals. The difficulty is that short-term volunteering, especially with children, has the potential to do more harm than good, both for the organisation and the children involved. Your opinions on what alternatives you and your co-travellers would be happy with would greatly add to the debate and help find some answers. Looking at the difficulties: for the organisation, integrating a volunteer for a very short period of time is costly. A full-time paid worker is required to spend time preparing for the volunteer, introducing them and supervising them. This full-time worker may be a teacher or a social worker, and is being taken away from their normal duties that are usually directed towards the children’s education or well-being. As the work of the volunteer is naturally of limited value compared to the work of a full-time employee, the cash-strapped organisation is basically paying full-time wages for very little benefit. That is assuming the organisation is a reputable one with a formal child-protection policy, sound paedagogical standards, a transparent accounting system, and proper management structures. Cambodia may be poverty stricken, but these things are not difficult or expensive to achieve — provided you have the will to do so. However, if it is a reputable organisation with all of these procedures in place, it is unlikely that they would accept volunteers for such short periods of time. It is extremely difficult for visitors to identify which organisations are good and which are exploitative of both the children and visitors. One indicator: if you’re not asked to sign a child protection policy, walk away. They say the road to hell is paved with good intentions. Asking your tuk tuk driver where to go will very likely put you on that road. For the unaware traveller, the consequences for the child go deep. There are too many “orphanages” in Cambodia, most of which are not even needed. It has, however, become an attractive business model for some unscrupulous individuals who prey on the vulnerability of the children, and their parents – the majority of Cambodian “orphans” have at least one living parent – and the goodwill of visitors. The managers of these institutions are blessed with a salesman’s ability to quickly tug loose the heart strings that bind visitors’ wallets, and letting visitors spend time “teaching” the kids is an easy bargain. The result is that children are needlessly institutionalised, kept in a state of poverty and deprived not just of an education, but even their own home. Moreover, for children a constant revolution of people through their lives can have terrible consequences. Cambodian children grow up in a context of profound psychological vulnerability. The inherited trauma driven behaviours of their parents and grandparents, coupled with poverty and insecurity, make them some of the most vulnerable children in the world. With every volunteer that comes into their lives, creates a relationship and then promptly leaves, there is a further psychological loss to the child, impacting their ability to form meaningful relationships. Their capacity to love and be loved suffers. There are other ways to help, and we need to find them fast. Ideas such as blood donations have been put forward though it is understandable that that is not for everyone. Another concern is that the work of volunteers should not take away the possibility of paid work for a local. We are searching for ways that will make everyone happy. What do you think would help?